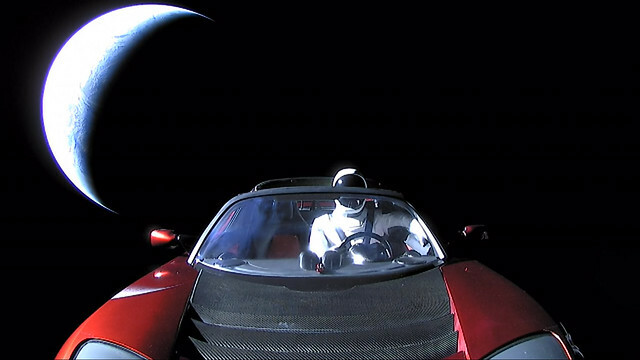 With the historic launch and test flight of the SpaceX Falcon Heavy on February 6, 2018, wunderkind Elon Musk sent a red Tesla Roadster into space with the David Bowie song “Space Oddity” playing on the stereo in an endless loop, the graphic display reading “Don’t Panic” and a fully astronautical attired “Starman” behind the wheel, all in a less than subtle nod to the opening scene of the 1981 cult classic animated film Heavy Metal. Here’s the opening scene from the film Heavy Metal. The floating Roadster had been depicted in the excellent animation describing the events of the launch, but the reality of a live stream showing a car floating in space towards Mars, endlessly playing David Bowie with a reassuring iconic message from The Hitchhikers Guide to the Galaxy and a Starman watching over it all, is something of which legends are made. Incredible footage from SpaceX showing the historic launch of the Falcon Heavy on February 6, 2018. 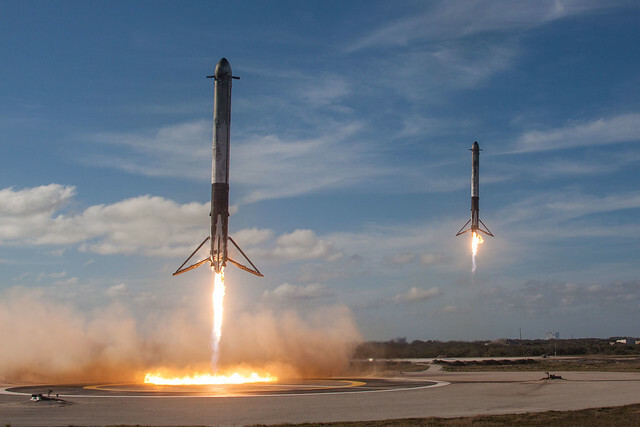 Here’s stunning footage of the side boosters as they return to Earth with astounding pinpoint accuracy, just as it was depicted in the animation.